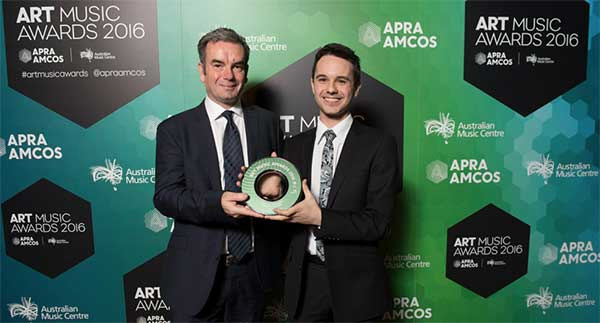 Colin Cornish (CEO, AYO) and Josh Belperio (2014 Fanfare Winner) receiving Artology’s Award. What is Josh Belperio upto now? 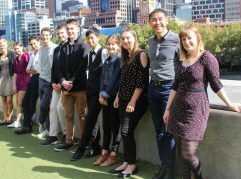 Josh completed his composition degree at the Elder Conservatorium of Music in 2015. 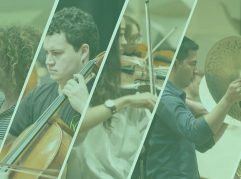 This year has seen him begin a career as a freelancing composer, performer and conductor, working across a range of genres to create works, aiming to better put us in touch with our own humanity, and our shared humanity. In January, he released an online sheet music store of his original compositions for choir. Josh hopes that this store will grow, bringing his music to choir directors around Australia. In April, Josh was awarded a $10,000 Project and Development Grant from Carclew to develop a new musical, which he is currently working on. 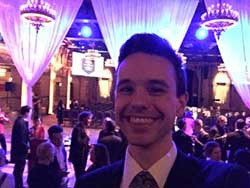 Having developed a taste for cabaret by accompanying in the 2015 Adelaide Cabaret Festival, Josh is developing an original cabaret show, for which he will write songs and perform them. The autobiographical show, called I Stuffed Up, will be produced and directed by Josh’s partner, Matthew Briggs, and it is scheduled for production in 2017. Also in development for 2017 is a concert of Josh’s choral and instrumental classical works. To follow Josh on his journey online. Josh is so very grateful to Artology for the inspiring and validating experience that he can pursue his dreams as a composer, and will be performed. Our Fanfarers have been busy bees workshopping their compositions with our mentor composer Nicholas Vines. 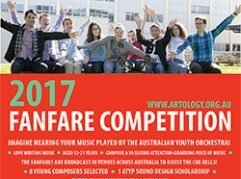 This week they are sending us their final scores and parts to go off to the Australian Youth Orchestra for the rehearsal and recording session at Trackdown Studios in Moore Park on Sunday, 4 September. 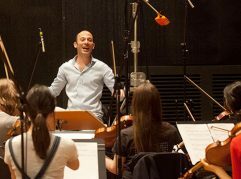 This year the AYO will be lead by Toby Thatcher who is currently assistant conductor at the Sydney Symphony Orchestra. We are pleased to announce Chrysoulla Markoulli will be this year’s ATYP mentor. She will work with Steve Francis and create the sound design for ATYP’s production of Fight with all your might the zoombies of tonight to be presented in November. Chrysoulla is 19 years of age and currently studying a bachelor of music and education at UNSW. 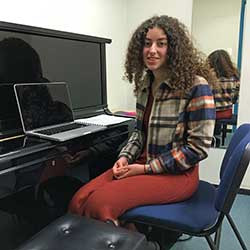 She is studying composition with John Peterson and Rosalind Page and says her musical journey began when she started playing and improvising on the piano at the age of eight. ATYP runs a great series of school holiday workshops for school students – they are loads of fun. 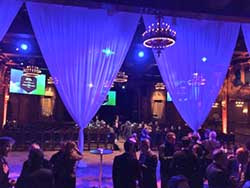 The next series runs 26 September – 7 October. Check it out online. 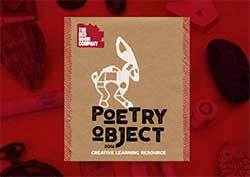 Red Room Poetry Object is a poetry writing competition inviting young writers and their teachers from across Australia and New Zealand to submit poems about ‘talismanic’ objects that are special to them. Red Room Poetry Object is open to students in grades 3-10 and their teachers. In 2015, Red Room Poetry Object linked over 160 school communities and published 2560 student and teacher poems. Deadline 23 Sept. Find our more. Thanks from all the team.